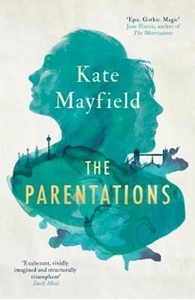 Eighteenth-century London - the lives of the sisters Fitzgerald, Constance and Verity, become entwined with the nearby Fowler household, charged with providing safe harbour to a mysterious baby from far away. Camden, London, 2015, December 17th - the lives of the sisters Fitzgerald, Constance and Verity, are consumed by the wait for this boy, who may or may not be dead. There is no way of knowing. Deep within the savage beauty of Iceland, a hidden pool grants those who drink from it endless life. For those that have, their secret must remain held close for two hundred years, but time is slipping away, and malign forces are gathering. And for those who have sipped from the pool, they discover all too quickly that immortality is no gift, because in the absence of death, true darkness emerges.